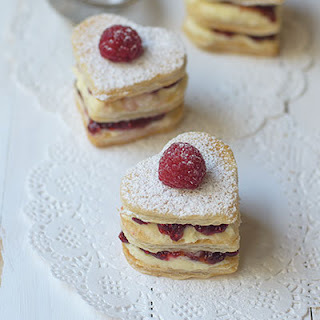 Boy: Mommmm... can you make Mille Feuille? but Mom reaction was a wee bit slow .... what? Me Three? In my humble opinion... French is such a romantic language, to be able to learn and at least speak, would be fantastic. And since young.... I always said that one day I want to speak the language. That one day came when I was in Uni, alas.... me speaking French would become reality. Looking at my course timetables, silently.... and happily, I said "Oh yes! I have Wednesday afternoons free..." and they had French Level 1, on Wednesday afternoons too.... perfect!!! I walked into that room, sat at the table, looked around for familiar faces (none I see...phew), and when the lecture started, then only I realised, even though it stated French Level 1, its far from Beginners Level. Everyone around was already thousands of miles ahead while I was ... well... a "beginner". Once the lecture was over... you can bet that "They" never saw me again after that!!! Back to present day, starting next week, I am on to another quest of learning another language. I hope this time, I will not be stumped again... well at least with this language, I already know how to read and write but I just don't know how to communicate :(... make sense? I guess not. 2 sheets of store bought puff pastry. 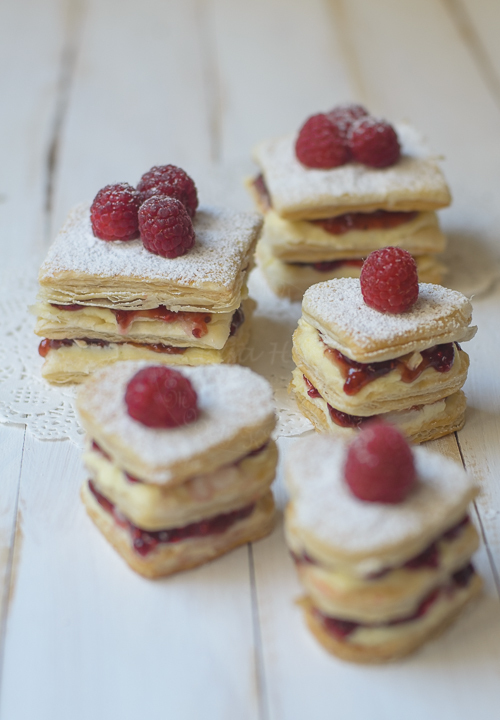 Cut puff pastry into 3 rectangular shapes or into any shapes that you wish (all must in multiple of 3s). Gently place puff pastry on to the paper. Sprinkle more sugar on to the pastry. Place another greaseproof paper on top of the puff pastry. Place another baking tray to weigh down the pastry (so it will not puffed up). Bake for 20 minutes, remove top tray and baking paper. Bake for further 10 to 15 minutes until its golden brown and crisp. Leave it to completely cooled. Mix well sugar with marcapone cheese. Set aside. Drain and soak lychees with rosewater. Set aside. Generously spread mascarpone cheese on 1 baked rectangular shaped puff pastry. Spread raspberry jam on top of the cheese followed by lychees. Place 2nd layer of rectangular shaped puff pastry on top of first and repeat. Lastly place the 3rd layer of puff pastry on top. 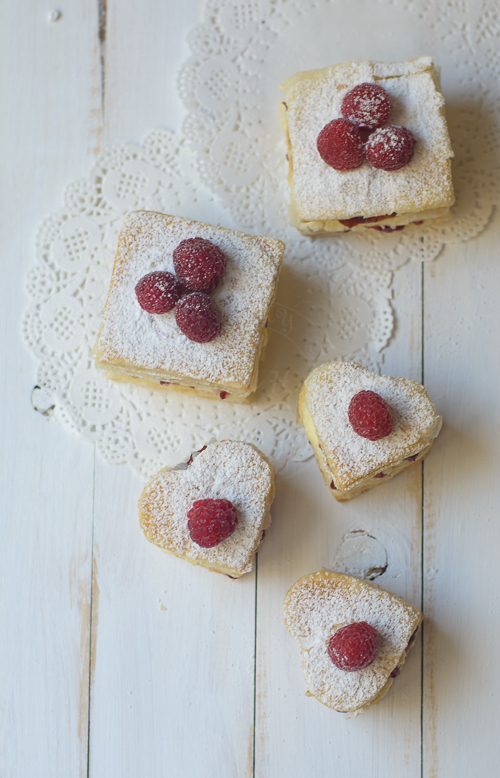 Sprinkle with some icing sugar and decorate with fresh raspberries. I love your beautiful, little bites there! Indulging combination! Love your ME-ThREE, Lisa. They look so very beautiful. They are so so so petite pretty especially the heart shape. Gorgeous photography :)! and lol about the French story ;). I always wanted to learn French when I was a little girl because I was very into French history, but then I decided to do German instead at uni - which was probably a better decision, since French pronunciation is so damn difficult and I sort of excelled in German ;). This looks really easy to make and the flavour combinations sound lovely! So beautiful! 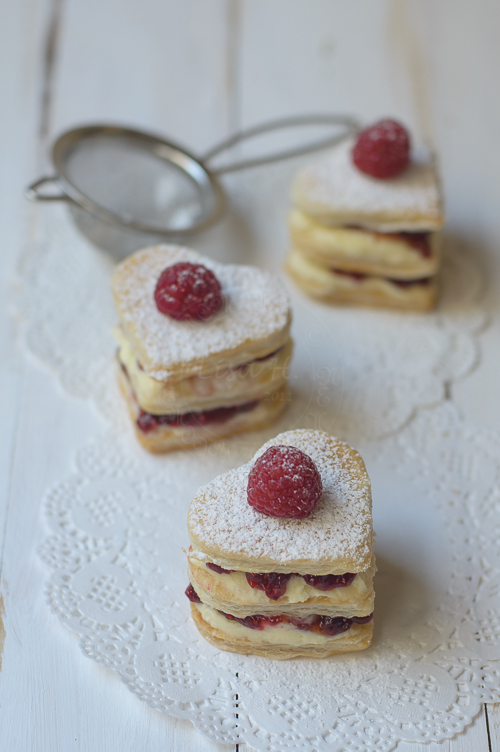 I've actually never had a mille feuille before..French is indeed a beautiful language, I have been learning it at school! It's challenging, but I love it.